When it comes to multimedia and entertainment, the HP ENVY Laptop – 17t customizable PC is considered a top contending laptop. Built with a 17.3″ (diagonal) HD+WLED Backlit 1920 x 1080 screen, the HP ENVY 17t notebook’s display produces clear and vivid graphics in multiple viewing angles. Media editors, movie viewers and gamers will be spending countless hours taking advantage of this wide Full HD screen. New customizable HP ENVY 17t Touch models with 17.3″ HD Touchscreen display are available for this year. Like most HP ENVY models, the HP ENVY Laptop – 17t is designed with an aluminum casing therefore creating a sturdy laptop shell built with clean lines and a sophisticated metal finish. Aside from addition of a complete number pad, the HP ENVY 17’s keyboard is highly responsive, back-lit, and best of all, ergonomically fashioned for extended typing durations. If one’s preference is what’s under the hood, this HP model will impress any body with its powerhouse specifications and competitively reasonable price. With its design not only focused in media works, the HP ENVY Laptop – 17t also allows gamers a certain degree of freedom in playing some modern games at the highest settings. To be more exact, World of Warcraft 2, Sims 3 and Diablo 3 run flawlessly under the highest preset graphic settings. This is no surprise when the ENVY 17 is built with the 8th generation Intel Core i7 processor and a NVIDIA GeForce MX150 graphics card. When it comes to connectivity, the HP ENVY 17t laptop doesn’t skimp its customers on port connection either. Like the previous dv7 models, this ENVY features a multitude of ports to satisfy any user’s needs. To start with, it has 3 speedy USB 3.0 ports and a digital media card reader. For any user’s wireless needs, this model is Miracast compatible. Even with its super speedy boot time and excellent Blu-ray combo, the HP customizable notebook has its shortcomings. The following summarizes this model’s pros and cons. 1. Fast boot time. Booting time is recorded to be in the range of 10 seconds (full SSD) to 15 seconds (mSSD cache/ motherboard SSD cache). 2. Clear, vibrant and vivid display. 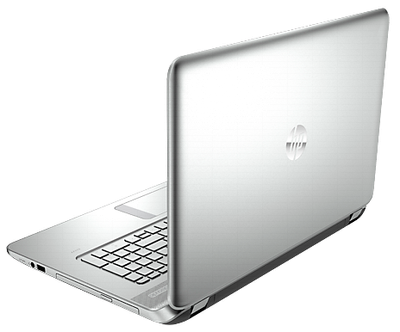 The ENVY 17’s Full HD screen is often mistaken as also the one used on HP ENVY with the addition of an anti-glare feature. 3. Unrivaled Audio experience. Superb sound, from its Bang & Olufsen speakers, paired with a 17.3″ anti-glare Full HD screen will provide any user a memorable viewing experience. 4. HP goes green. HP’s latest ENVY models have taken into serious consideration the “green” approach. This simply shows how the company is not only willing to focus in the design and specification aspect of its devices, but also its environmental impact in the long run. 1. HP ENVY Laptop – 17t weight 6.6 lbs and it’s not travel friendly. 2. Not so long 7 hours battery life. When it comes to entertainment, HP ENVY models often pop out in the search. The HP ENVY 17 laptop does nothing less in showcasing HP’s capability in incorporating beauty, power and environmental awareness at a reasonable price.